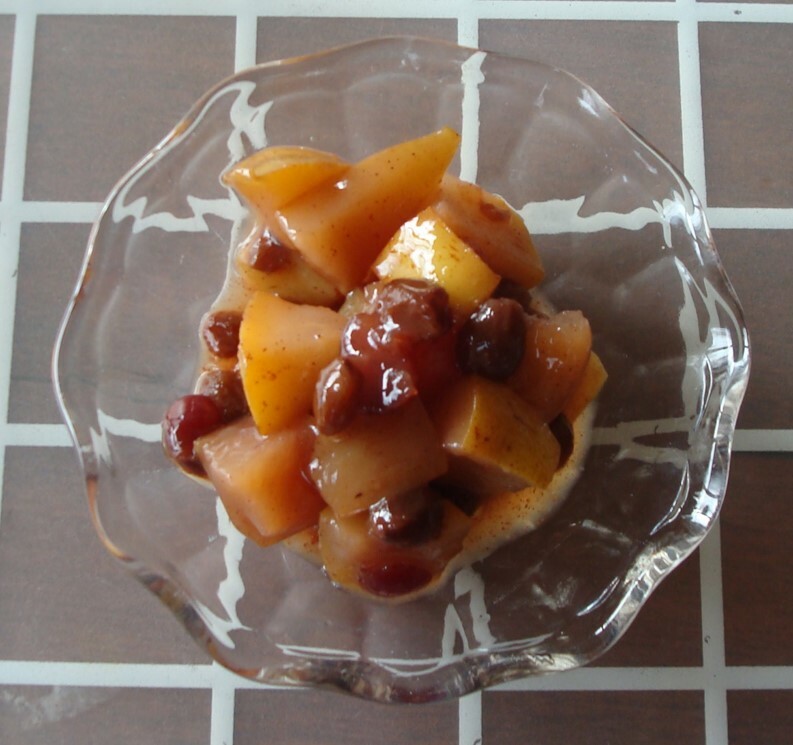 Posted on November 10, 2014 August 23, 2015 by SherylPosted in Food, recipesTagged apple, desserts, pear, raisin. Red wine cider would add on to the recipe! mmm.. . sounds good. Great suggestion! A great recipe for this time of year! I was thinking the same thing yesterday…apples, nuts, cinnamon. I have lived in California, Texas, Ohio and Michigan. Even though I enjoyed the warm weather, I love states with a fall season where you can enjoy all the wonderful fruits, nuts and vegetables of the colder weather. Wish we knew what Helena would have liked!!! I really enjoy trying to eat foods when they are in season. Me too! But it’s so hard these days if you shop at the supermarket, so many things are always available, all the time. I sometimes wish that foods weren’t available out of season. I can remember anticipating strawberries and corn on the cob when I was a child–and how awesome they tasted when they finally were in season. Something is lost when almost all fruits and vegetables are available year round. This sounds wonderful and pretty easy too. This sounds like a very good combination. As well as providing lots of spoonfuls of delicious sides. You’re absolutely right, compotes are a good way to use fruits that are a bit past their prime. When I cook I always try to think about the best use for the fruits and vegetables that I have on hand. Sounds fantastic! Have to try it.